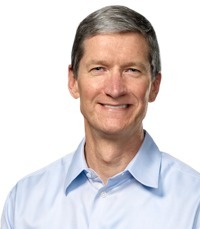 Tim Cook broadly addressed recent rumors that Apple may have cut iPhone 5 orders on weak demand. That particular rumor gained significant attention, resulting in a notable dip in Apple's stock price. Months of rumors about order cuts and so forth, so let me take a moment to comment on these. No comment on any particular rumor. I suggest its good to question the accuracy of any kind of rumor about build plans. Even if a particular data point were factual, it would be impossible to interpret that data point as to what it meant to our business. The supply chain is very complex and we have multiple sources for things. Yields can vary, supplier performance can vary. There is an inordinate long list of things that can make any single data point not a great proxy for what is going on. Cook made the comments during today's Q1 Results conference call. Analysts buy on rumors of unreal expectations. WSJ picks up article by analysts with misinformation. Stock drops. There is no accountability in the media anymore. It's a sham. The media chooses who they want to win regardless of the facts and what is actually happening. So basically he is asking the shareholders to maintain blind faith in the face of disappointing results. Please continue to beat up on AAPL and drive its price back down into the double digits or lower. I need to buy a whole truckload of the stuff before they announce their television set and the market blows it up to over $1000/share. Daddy needs a new Acura next year. Damage control isn't nearly as cool as insanely great. and Apple needs to find somebody with some vision and passion. Couldn't they get a better picture of the guy? He looks drunk. investors ain't buying it, APPL is down 10% in after hours trading. it's going to be ugly tomorrow. While I have seen reports on the total number of iPhones sold last quarter, I have yet to see a report of how many were sold of the different iPhones models. If they really want to make that rumor go away, releasing those numbers is all that's needed. There is, after all, quite a difference between selling an iPhone 4 and selling an iPhone 5 when it comes to profit. Edit: There were lots of reports in September about how many iPhone 5 were sold. None now. Yeah... they generate less profit selling an iPhone 4. But thinking about it optimistically.... a sale is a sale. It's better than some other company getting that sale. Apple's phones start at $450... which is a relatively high price across the globe. It's actually pretty remarkable that they sell so many phones despite that high starting price. Pure nostalgia. As likable as Woz is, and as much as he enabled Steve to do all these great things in the early years, and as much passion as he may have, Woz wasn't the visionary part of the equation.